Portland’s hottest neighborhood no one has heard of. If you are visiting town I suggest staying here. Two separate people in the last week have accused me of making up a Portland Neighborhood! So I took a little informal poll of my co-workers and friends to see if they have ever heard of the “West End” of Portland. Almost no one knew what I was talking about! This is a real place, I swear! So today, I’m writing an explainer on Portland’s newest neighborhood: The West End. First of all, it’s not new. This is an area that’s always been there, it’s just flourishing right now with a surge of new businesses and restaurants. Someone gave it a name, “West End”, that seems to have stuck and now it’s official, it even has a website. You’ve probably been there and don’t even know it. 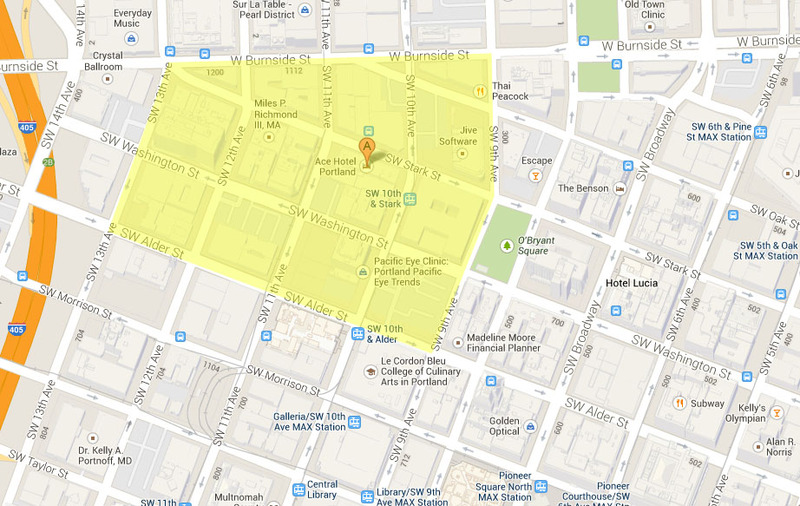 This is the area south of Powell’s Books and northwest of downtown. Washington, Alder and Stark Streets, between 10th & 13th Avenues. I think this little slice of Portland will eventually be the “tourist district”. Anchored with two awesome hotels The Ace & The Crystal and a short walk from many others, it’s the perfect spot for people visiting town. So what’s drawing all these people? Some of Portland’s most popular restaurants have opened up locations here like: Kenny & Zukes, Stumptown, Lardo, Blue Star Donuts, Little T American Baker & Sizzle Pie. There’s a nice selection of higher end dining: Jake’s, Tasty N’ Alder, Gruner, Clyde Commons & Racion. One of the best movie theaters in town, Living Room Theaters, is here. 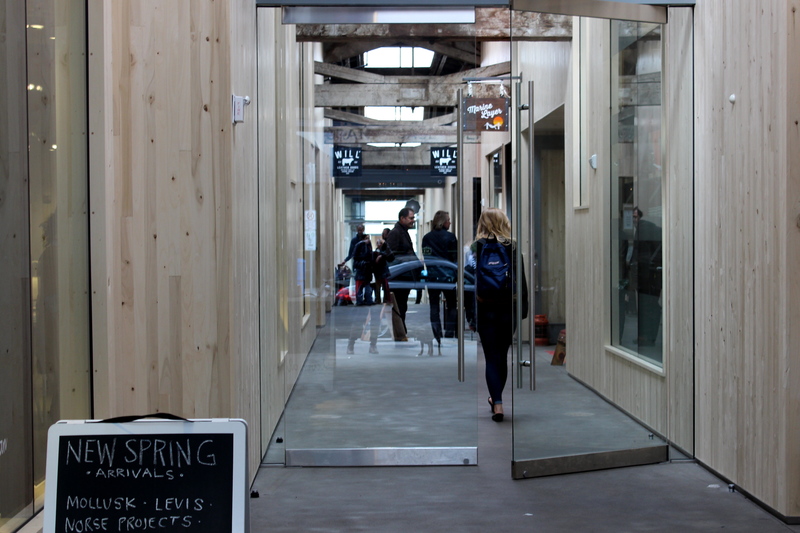 Plus, tons of boutiques like Canoe, Radish Underground, Tender Loving Empire and Alder & Co. just to name a very short list. 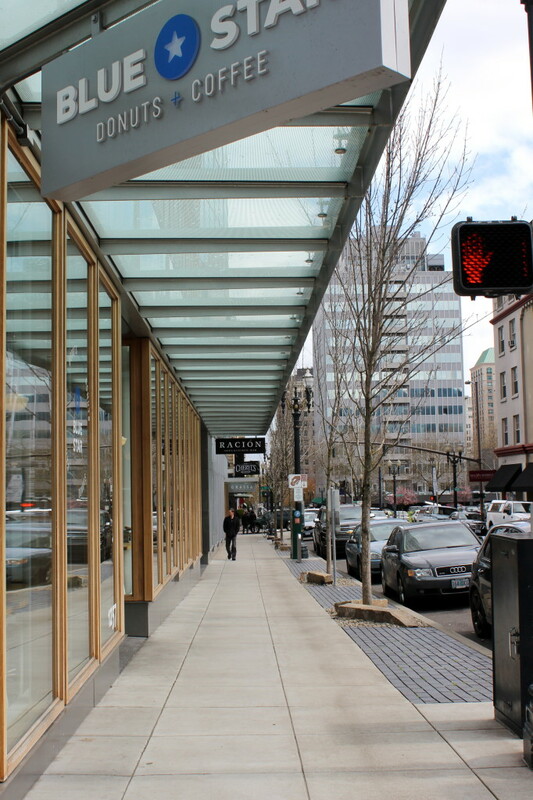 Then there’s the cool indoor retail space called Union Way, that connects Stark to Burnside. There is lot going on in a small block radius and more is opening all the time. 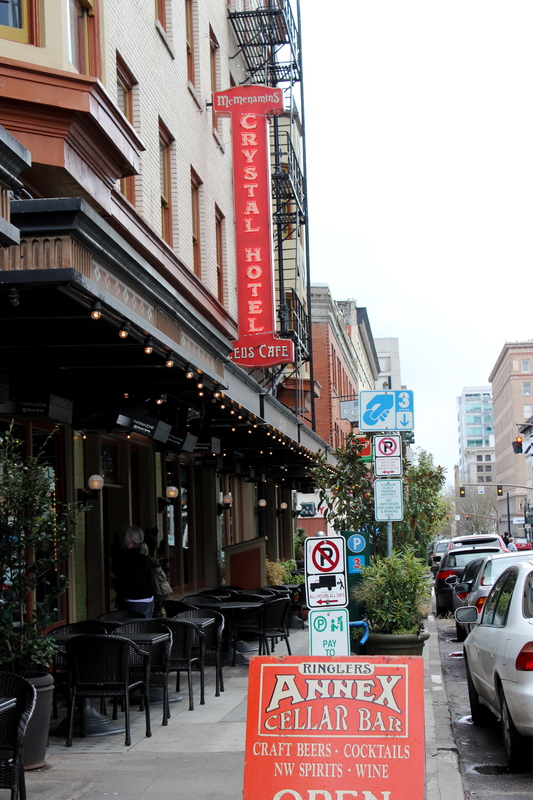 It’s not the Pearl District, it’s not downtown, it’s the West End. For those who still think I’ve made this all up, here’s a New York Times article about it: Shops & Sweets in Portland, Oregon. If the Times says it’s real, who are we to fight it? I hope that helps everyone understand what this neighborhood is, and why it’s worth your time to visit. Love this area!!! Multnomah Whiskey Library may be my favorite spot in the neighborhood! 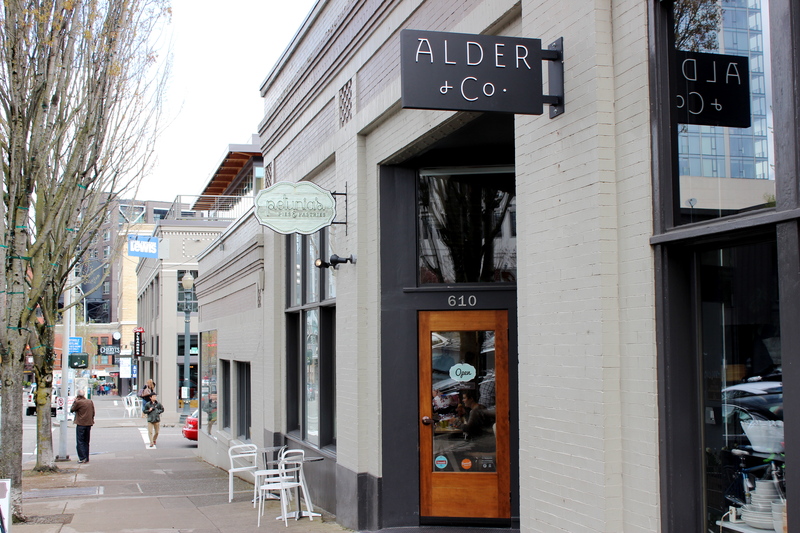 Oh, I love to come to this neighborhood, if only for Tasty ‘N Alder. I agree that the West End is real! Now if only Google Maps would officially label it with the neighborhood name, then people would know! I love this area! Thanks for highlighting it. Hrm, I’m surprised. I always thought this was a sub-section from the Pearl. Never knew that people DIDN’T consider it it’s own neighborhood. Really?!? I always thought part of the city was part of the Pearl and/or NW Portland. You learn something new everyday! My parents used live in this neighborhood and I LOVE it. 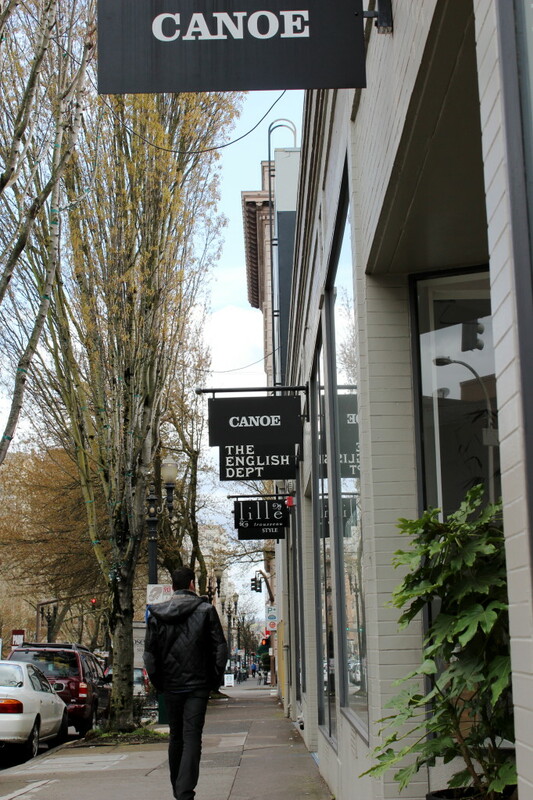 Canoe is one of my favorite stores. Glad you featured it!